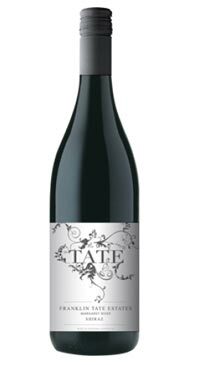 John Tate and his son Franklin Tate created Evans & Tate; Tate to become one of Margaret River’s most well known wineries. The region is widely recognized as one of Australia’s top growing regions for rich reds and bright whites. Margaret River is situated in a unique spot; surrounded by the Indian and Southern Oceans, Margaret River is stunningly beautiful and isolated. The climate offers hot mornings and cool afternoons (thanks to the ocean breezes) that contribute to the balance and complexity of Margaret River wines. This varietally-labelled Shiraz actually contains 7% Petite Verdot and 3% Viognier. Some of the berries remained uncrushed during the fermention process and after a 6 day ferment the almost dry wine was inoculated for malo-lactic fermentation and matured in combination of of French and American oak for 12 months before being racked, blended, lightly fined and filtered before bottling. The wine is spicy with soft cherry fruit. It is a fresh, vibrant and modern style.